I don’t know any mom that didn’t at least try to breastfeed their baby but, the reality is that sometimes it just doesn’t work as planned for various reasons. Sometimes milk supply doesn’t come in as quickly as needed, the baby doesn’t get a good latch or isn’t strong enough to get enough milk, some babies just fall asleep while feeding, etc. 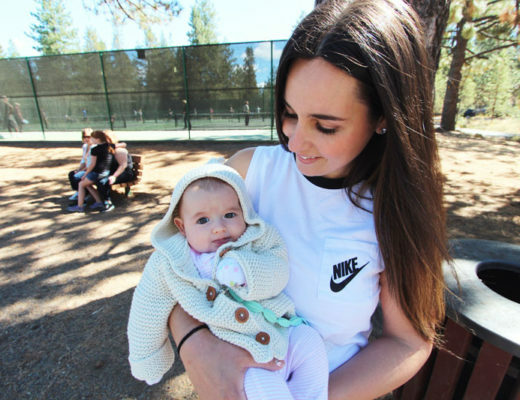 For me personally, I tried breastfeeding with both of my babies and ended up exclusively pumping with both. The only thing that helped me be successful at exclusive pumping was having the right breast pump. Like many products for mothers and babies, there are so many selections that it can be overwhelming! If you visit a store to check their pumps out, you’re unfortunately going to be limited by their selection, and also by the amount of information that’s available about each product. To make this easier, I’ve compiled a list of some of the pumps that I personally looked at when trying to decide on the right one for me. Below, you’ll find an in-depth look at six different pumps. 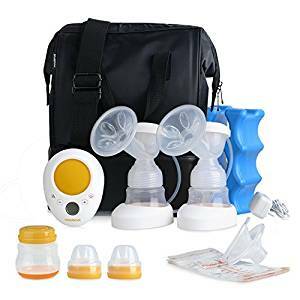 All of them would make a great choice depending on your need, but first let’s go over some things you should know before ordering a breast pump. 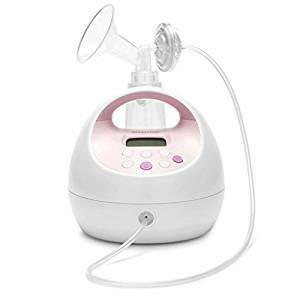 There are different kinds of breast pumps out there to choose from. If there’s a particular feature that’s really important to you, you don’t want to waste time looking at pumps that don’t even have it. 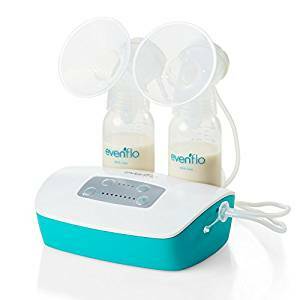 For instance, some electric breast pumps are going to be noisier than other ones, so if quiet is really important in making your decision, that will eliminate a few options right off the hop. Or if you plan on exclusively pumping, you will want to choose the best, hospital grade pump in your price point. How difficult are they to clean? If you never plan on taking your pump with you when you leave the home, you probably won’t really care how portable it is, but certain things like efficiency and comfort are important no matter what. Each of these pumps were chosen to be featured because they bring something unique to the table, or are just an excellent pump overall, or all of the above. Here is my list of breast pumps to consider when you start shopping around. I have covered different styles, for different budgets, while keeping in mind that any single one of these would make a great choice! 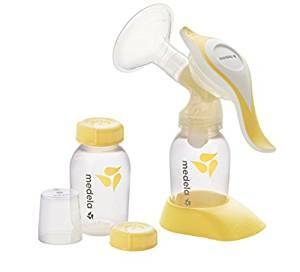 Overall, the Medela Pump In Style is the top choice when it comes to electric breast pumps. This is the pump I used for both of my babies and I loved it so much! It has been described as “hospital-grade quality” and has been rated as overall best breast pump on the market. It comes with everything you need, including a double pumping kit, a cooler system, and more. It’s convenient for the family on the go, the working mom, and especially for moms who pump multiple times in a day. Another nice feature is that you can also change between double pumping and single pumping. I worked full time when my son was born and so I brought this pump to work with me every day. The bag that it comes in doesn’t even look like a breast pump so no one knew that I was carrying it to the office with me. 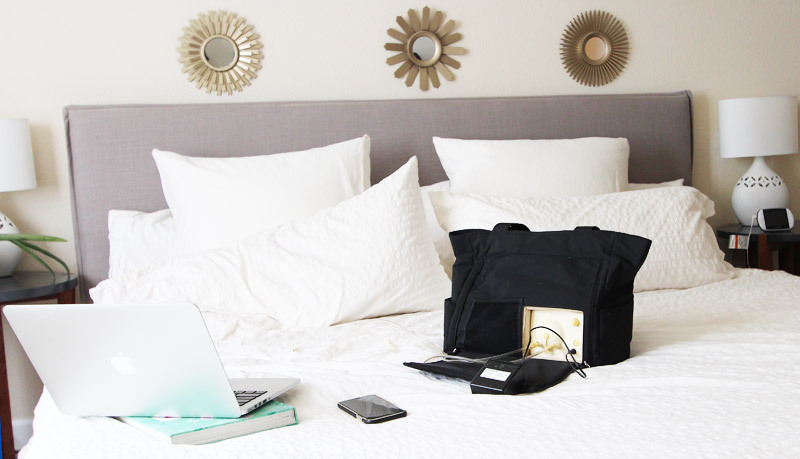 All of the accessories and the unit itself fit nicely inside a tote, which also houses a rechargeable battery pack which means that you don’t need to be near an outlet in order to pump. I used to pump in my car and didn’t need a plug! Some electric pumps are known for being a little bit uncomfortable or even painful, but this one has a very high score when it comes to comfort and being very easy to use. The Pump In Style comes with ample accessories, and it’s also such a popular unit that you can find all sorts of other add-ons and replacement parts very easily. The only real issues are that it’s a little bit loud because it’s so powerful and it’s also not the most affordable option, but with such a high-end breast pump you are certainly getting your money’s worth either way. If you plan on exclusively pumping, this is the best pump out there. Here’s another double electric breast bump, like the one by Medela, however there are some noteworthy differences between the two. This particular unit costs quite a bit less than the Medela Pump In Style, so it’s a good option if you’re on a budget and looking to spend less. It comes with three different modes, and various different suction settings to help make things run as smoothly as possible. This pump comes with a cooler, a battery pack which takes 4x AA batteries, a massage cushion to help stimulate milk flow, and it is relatively easy to take apart and clean. Having the double pumps means that the whole process will take about half as much time, which is always a plus. The whole kit can be easily transported in the included carrying case, and at just over six pounds it’s not terrible to take it on the go, and just slightly lighter than the Medela. Although not as powerful and even long lasting as the Medela, it is still a great, budget friendly option! Here’s another complete double electric pump package, and it’s not the last one we’ll be looking at, either. This is a very popular style of pump, you’ll notice that they all have their quirks but they’re also quite similar. One of the big deciding factors is going to be whichever price point fits best, as these are all capable units. 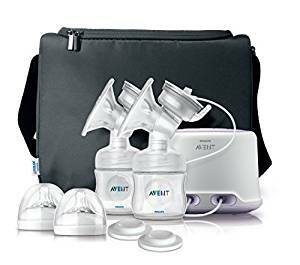 With that in mind, this one isn’t the priciest, nor is it the most affordable, but it does come with everything you need, along with some additional features to help with the overall performance and comfort of the whole pumping experience. At just two pounds, this breast pump by Phillips is on the lighter side when it comes to electric pumps. This is the latest version, which comes with two over sized cushions for added comfort. You can purchase an electric steamer to help clean and sanitize the bottles as well, which is also sold under the Avent brand. The way the pump is tilted allows for extra comfort and a more practical experience. Overall, this is a great pump and it is backed up by a two year warranty. This affordable unit offers the ability to pump both breasts at once, or just one at a time. It is a very popular choice, and very well-reviewed by countless moms that trust it to help feed the most special little people in their lives. 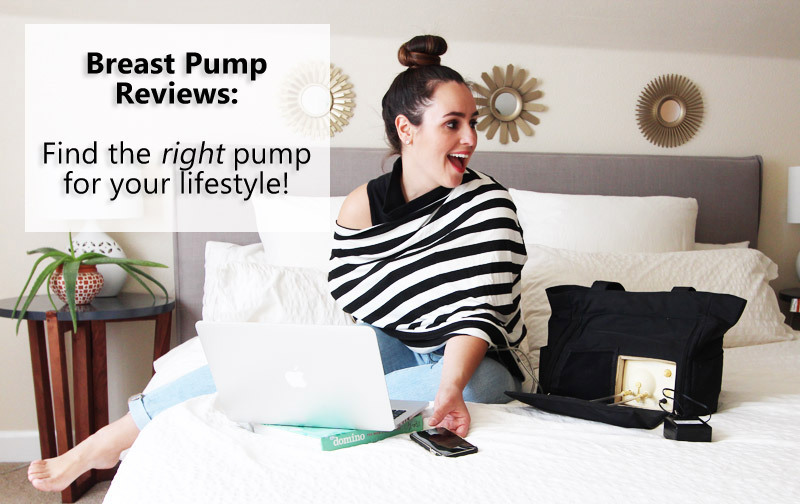 This particular pump doesn’t come with some of the portability features you’ll find with other options, but it’s a great choice for pumping at home. You need to plug in the S2 model in order to use it, however the slightly more expensive S1 model does have a battery pack if that’s an important feature for you. This pump weighs just over three pounds. Milk doesn’t actually flow through the tubing at all, which is a plus because it can be a pain to try to clean out the tubes in some of the other units out there. In other words, this is what is known as a closed system, which is more hygienic than alternatives. Not only is it lightweight, it’s also a quieter unit than others. This is a flexible, quiet, and light breast pump that has really taken the nursing world by storm since it was released. This is the final electric pump that we’ll be going over today. It’s the least expensive out of the electric options, but still a very capable choice none the less. It offers 32 different setting combinations in total, which can feel a bit overwhelming at first, but once you dial in exactly what works best for you, you’re all set. It has the same closed pumping system that some other pumps on this list have, which generally helps it to stay clean and more sanitary. It has some features you’d see in more expensive pumps, and while the majority of the reviews are favorable, there are still some bumps along the road which is to be expected when you’re comparing it to others that cost two, three, or four times as much. You’ll have the benefits of an electric pump, it’s just not as refined as some of the others we’ve checked out. 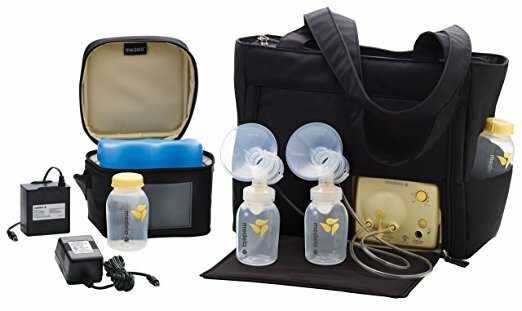 This is a good option for those of you that go between pumping and breastfeeding. The flange system comes in three different sizes to help ensure that this pump will be a good fit, in the name of comfort and efficacy. 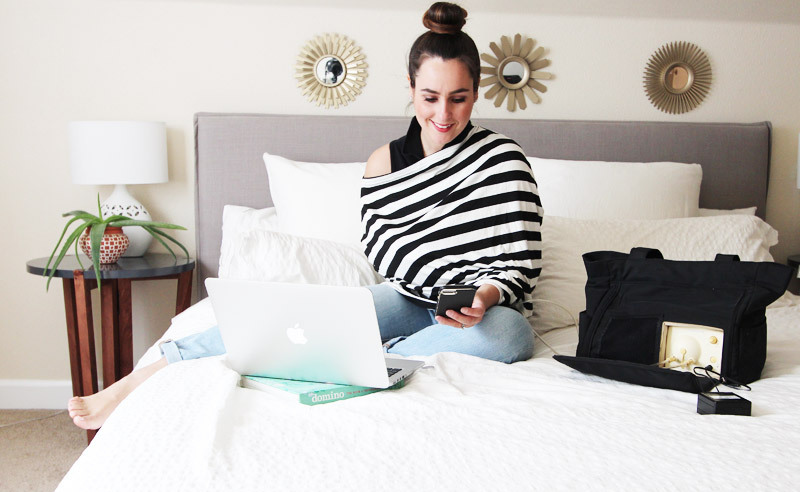 While it offers many setting options, some moms have reported that the lower settings don’t really do much at all, and just add to the overall feeling that this whole device is a bit more complicated than it needs to be. None the less, it’s a good budget choice, and weighs in at under three pounds. The Medela Harmony is one of the most popular manual pumps. The major advantage of any manual pump, including this one, is the fact that they’re much more affordable and versatile in the sense that they’re light and extremely portable, and don’t require any kind of power source to use them. This pump has two different pumping areas, one for stimulation and the other for expression, and it is designed to offer up additional control that you don’t get from an electric pump to maximize milk flow. This manual breast pump also comes with two bottles, a stand, and other useful accessories. A nice bonus is that this pump uses the same bottles as the Pump In Style (Our top pick), so the two options complement each other nicely. Many women will go with an electric pump as well as a manual one, so that they’re getting the best of both worlds depending on where the day takes them. As far as manual pumps go, this one is excellent, very fairly priced, just about silent, and incredibly discreet compared to an electric model. Some people have reported that it tends to lose suction over time, and others have mentioned that replacing the little o-ring can help, so that’s something to keep an eye on if you plan on using it frequently enough that it starts to wear out. I had this manual pump as a backup when I just needed to go somewhere for a few hours. It fit nicely in my purse and is easy to clean! Hopefully this guide, and these reviews, have helped to connect some of the dots and you’re now a lot more informed and confident to make a smart purchase. Once again, each and every one of these pumps is a good option, it’s just a matter of choosing the one that fits your budget and your needs. Even if you plan on mainly breastfeeding, having a pump around to express milk for when you are away is going to be a life saver. You can leave milk in the fridge when you return to work or just leave for a few hours for date night. Also, if you take a vacation without your baby, having a pump to maintain your supply while you are away is going to be necessary! Pumping also boosts your milk supply between breastfeeding! AND… best of all, it means dad can take over feeding duty! 😉 No excuses when the milk is in a bottle! My nursing cover was provided by Covered Goods! They have so many cute ones, you have to go look for yourself on their website here. 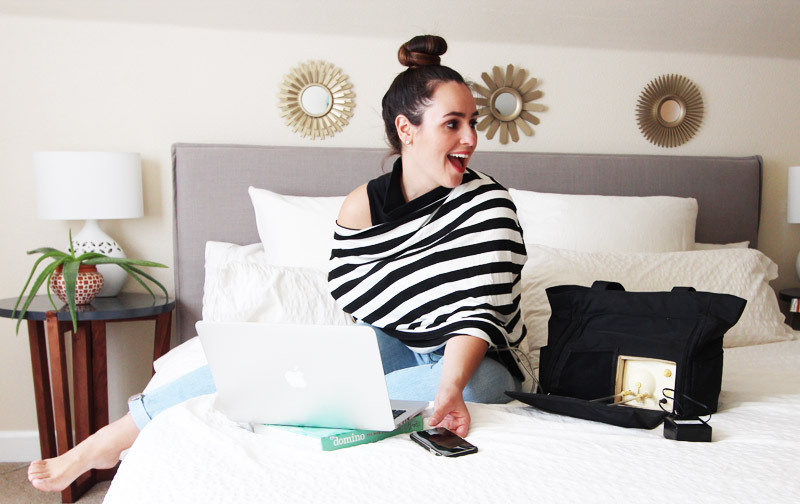 I will be hosting an awesome giveaway with Covered Good and MAM Baby, so stay tuned next week! You can win one of these covers along with a bunch of other goodies! Also, if you need your hands free while you pump like I often do (while I’m working! ), here are a few great hands free pumping bras! Awesome post! I feel like this isn’t talked about enough! Health insurance carriers will reimburse breast pump purchases as long as there is a receipt too! Moms just have to check with their health insurance carriers to see if they will cover a manual or electric pump.